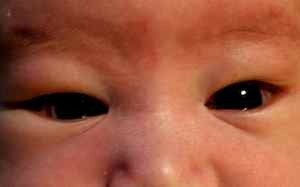 Our newborn son has red spots in the whites of his eyes. Is this normal? When will they go away? These red spots are called subconjunctival hemorrhages. They are common in newborns and typically result from the normal trauma of birth. 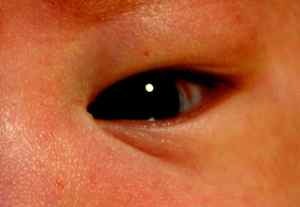 As newborns are squeezed through the birth canal blood vessels (on the eyes and elsewhere) can rupture. Subconjunctival hemorrhages are basically bruises of the eye. As with any bruising in newborns, they increase the risk of jaundice. Subconjunctival hemorrhages resolve over 2 to 4 weeks.